Improve the way you ship business cards and stationery by investing in Stationary Folding Cartons. These office items are recommended for heavy usage and best for office workers who constantly reach out for their calling cards that will be distributed to clients and customers. 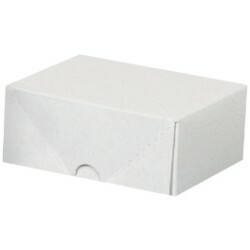 These boxes are designed and made for constant use since these are made from two piece fiber board construction. With this design, you can be sure that the calling cards, documents and other papers will be protected from the elements. We offer more than a dozen of sizes so that you can find the right storage boxes that can accommodate your documents and business cards. We carry storage boxes that measure 12'' x 3 1/2'' x 2'' Stationery Folding Cartons, 11 1/8'' x 9 1/2'' x 3'' Stationery Folding Cartons, and 4 3/4'' x 3 1/2'' x 2'' Stationery Folding Cartons to name just a few.